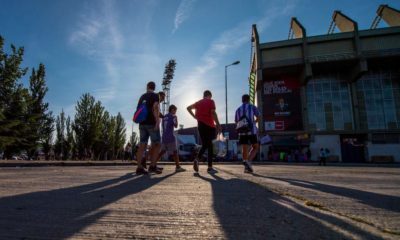 Several Indian households might be hooked to their television screens with the ongoing cricket World Cup providing ample entertainment, but the twists and turns that the I-league had to offer during the past month or so has offered the country’s football faithful their own share of fun. As India’s clash with Nepal in the Preliminary Joint Qualification Round 1 for the 2018 FIFA World Cup Russia forces the league into a prolonged break, we take a look at the performance of the clubs in the hunt for the crown and predict how the title race could further unfold. Having made an indifferent start to the season, partly due to the haphazard scheduling of matches, the Mariners have propelled their way to the top of the pile with a game in hand. The almost perfect show in the 4-1 win over defending champions, in the last week of February, speaks about the sort of spell that the historic club are currently enjoying under manager Sanjoy Sen.
Players to look out for: Along with the talismanic top-scorer for the club this season Katsumi Yusa and the electric Haitian winger Sony Norde, the rise of domestic footballers has been a key to the Kolkata side’s undefeated run in the 2014/15 campaign. Leading this bunch is the 28-year-old Balwant Singh, who was also the first Indian to score in the Indian Super League (ISL). In Jeje Lalpekhlua’s initial absence, the Punjab-born striker shouldered the responsibility in front of goal and has now cemented his place in the starting lineup with three goals in seven appearances to his name, as per soccerway.com; earning him a call-up for the national side. Another Mariner who seems to have caught the eye of Stephen Constantine is right-back Pritam Kotal. Being one of the only three players to play every minute for his club this season, the 21-year-old has made the most of his opportunities. In addition to being part of the second most disciplined defense of the season so far, he also netted the lone goal in his team’s 1-0 win over Pune earlier in February. Scope for improvement: Everything that can go right is doing so for Sanjoy Sen at the moment. His team share the best offensive record in the season as the backline too has been pretty tidy, barring the seven-goal thriller against Shillong Lajong on their last matchday of February. The only major cause of concern for Sen is his team’s away form. 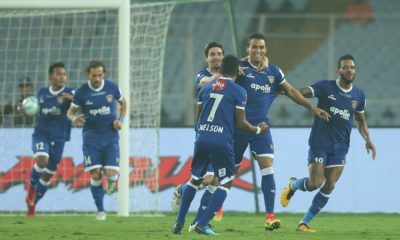 Despite boasting of a hundred percent record at the Salk Lake Stadium, the Mariners have failed to reproduce this form elsewhere, managing just one win from four matches, as per soccerway.com; an area where Sanjoy Sen would want his men to improve if they are to maintain their supremacy at the top of the table by the end of this season. When you talk about one half of a long-standing rivalry, the other one can’t be too far away. 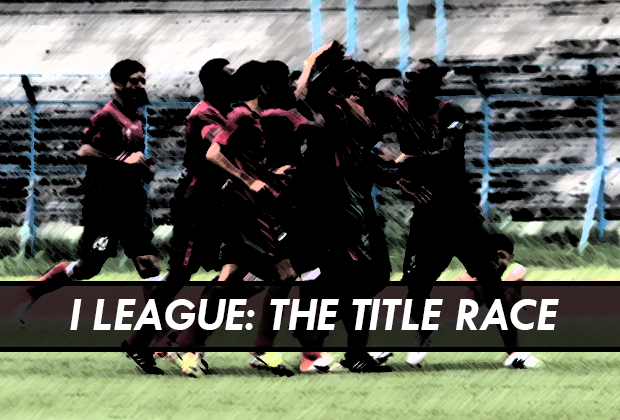 Just three points adrift the leaders, East Bengal occupy the number five position on the table with one game in hand. After collecting seven points from their three opening fixtures of the campaign, the runners-up from last season dropped as many in their next three; add a 4-1 away thrashing from Johor Darul Ta’zim in an AFC Cup league encounter late in February. But, not the ones to go down without a fight, the Red and Gold bounced back in the league with a 5-1 decimation of Dempo SC in their own backyard. Players to look out for: Ranti Martins once again presented his case in front of Nigeria’s selection panel by taking the net-bursting duties all by himself in the five-goal rout against his former club, which ultimately costed Arthur Pappas his job. As per soccerway.com, the two-time I-league Foreigner of the Year now has 10 goals already this season; just two shy of his tally from last time, with more than half of the season yet to be played. Martins being the biggest source of goals for the Lal Holud this season, only two other men have scored for the Kolkata club. Among them is the left winger Abinash Ruidas. He impressed in the last edition of the Calcutta Premier League and has looked sharp on his flank in the four appearances that he has made for his new club. It would be interesting to see him combine with Mehtab Hussain and Lalrindika Ralte in midfield during the remainder of the season. Scope for improvement: It takes time for every club to settle down with a change in manager. And this could well be the case with Eelco Schattorie taking over the reins at East Bengal recently. He sounded disappointed with the way his team played in the 5-1 win and has asked fans to be realistic with their expectations this season. He has demanded the players to get accustomed to his style of play and to also pull up their socks in terms of fitness levels. Moreover, continental football is proving to be somewhat of a distraction for the Red and Gold. They recently filed a petition with the AFC to reschedule their matches owing to the unavailability of players on national duty. Perhaps, they could take cue from their Bengaluru counterparts who are treating a similar situation as an opportunity for their bench to prove its mettle. Riding on their debut season heroics, a pre-season in the pink away from ISL and their Federation Cup triumph in January, BFC were expected to pick up from where they had left off last year. 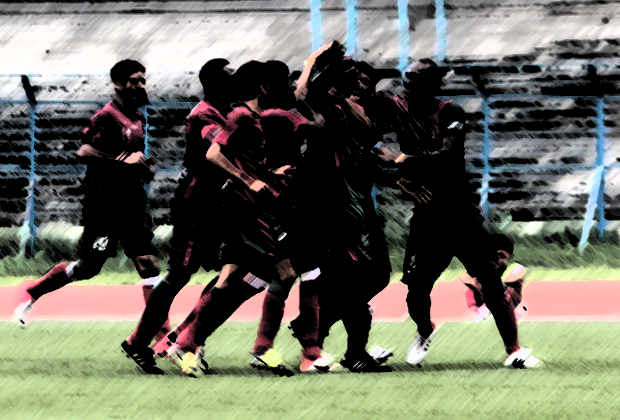 On the contrary, they suffered a disappointing start to their second campaign in India’s top-tier football. But, after collecting just one point from their first three games, the Blues bounced back with 13 from their next half-a-dozen; jumping to the third position in the table. They are also beginning to show glimpses of the brand of football out of which Ashley Westwood earned a name for himself as a coach; and with the rise of some new faces in the team, BFC don’t look like they are going to let go of their title so easily. 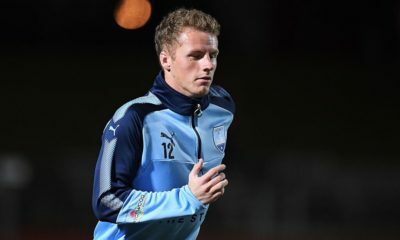 Players to watch out for: Citing it various reasons including the added workload of continental football, Westwood has often tweaked his formation this season. Though the goals from skipper Sunil Chhetri, who notched up 15 last season, might have dried up as a result, but the gaffer seems to have found a new source to burst the net. 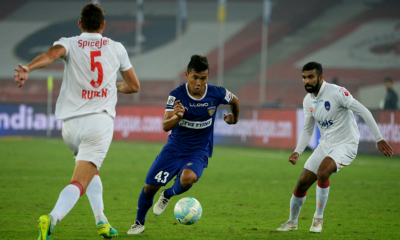 Signed in July last year, Eugeneson Lyngdoh has been the story of the season for BFC so far. The 28-year-old former Shillong Lajong and Rangdajied United midfielder has already netted four goals in nine league appearances for his new club, as per soccerway.com. Notably, without two of his goals, his team would have gathered four points lesser than their current tally. The attacking midfielder has also been a key cog in the journey of the Blues in Asia so far, and has also turned provider on several occasions. Weaknesses: Not in the domestic league, but BFC were exposed with their long-ball tactics earlier this week in the AFC Cup tie against Persipura Jayapura, which they lost 3-1. 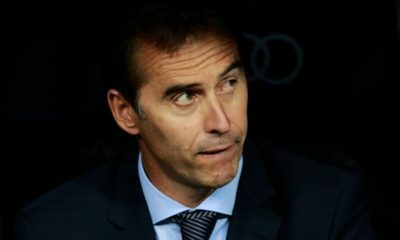 They started the game with a 4-3-3 formation, but with many key players either injured or out on national duty, the team lacked quality for these sort of approach. The team has also played an alternative 4-4-2 formation during the early stages of the season, with lukewarm success. But the pint to be noted here is that a sense of uncertainty can be observed from some of Westwood’s methods; the results in the form of daunting losses against Mohun Bagan and Pune FC speak for themselves. Though his team has looked prolific in some areas this season, the former Manchester United-man should try to stick to the tactics that earned his team the title last season. Too much of experiment can sometimes spoil a dish despite all the right ingredients. With just one defeat from their opening octet of fixtures, Pune FC has performed beyond expectations this season following a seventh-position finish last season. With the joint best offensive record in the season so far, the Red Lizards have looked particularly sharp in front of goal and have let the floodgates open even against the top teams. February was a tough month for the Maharashtra outfit as they went winless in three games on the back of some unfortunate injuries. But a timely 1-0 home win against Royal Wahingdoh sent the men in red into the break on a high. 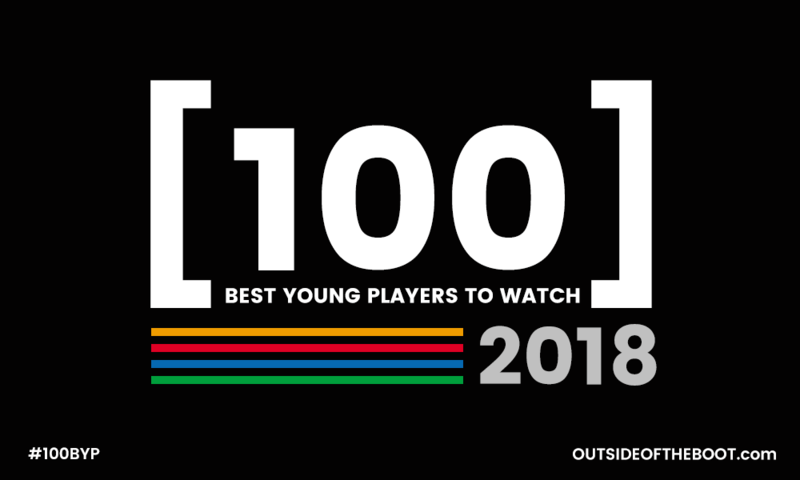 Players to watch out for: Laying footprints of a bright future for India’s football, Pune FC Academy graduate Thongkhosiem Haokip has been a livewire on the field in the red jersey this season. According to soccerway.com, the Manipur-born lad has found the net six times this season; including the first hat-trick of the season against Shillong Lajong and crucial strikes against Royal Wahingdoh and defending champions Benaluru FC. It came in with little surprise when he was called up for the Under-23 National team camp taking place in Goa ahead of the AFC U23 Championship Qualifiers in Dhaka. Complementing the Indian attacker in his exploits is the 24-year-old Montenegrin marquee signing for the Red Lizards Darko Nikac, who is one more part of Karim Bencherifa’s attacking quartet that also includes Edgar Marcelino and Ryuji Sueoka. 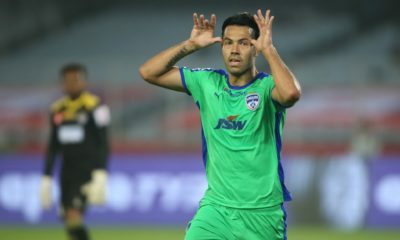 Although currently on the sidelines due to injury, Nikac has scored three goals in six appearances for his new club and remains a key part of the West Maharashtra outfit’s future plans. Weakness: In the face of the attacking prowess of Pune FC lies the brittle nature of their backline, which endured a poor start to the season. 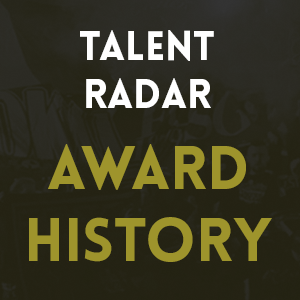 They conceded as many as seven times in their first five matches and failed to collect even a single clean sheet. But they have managed to shut out opponents completely twice in their last three games. Injuries have also been a major cause of concern for Bencherifa of late with several major attacking players on the medical table at the moment. When the attackers were on song, the defense looked lacklustre and when the defense gained solidity, the attackers were sidelined. Thus a string of complete performances from the Red Lizards is yet to be seen. But this comes in as a welcome break for them with the opportunity to regroup and stake their claim for the title during the remainder of the season. Alshaar Khan is a writer for Outside of the Boot, footynions and sportskeeda. Childhood Manchester United fan. Keen to contribute in uplifting Indian football. Full-time journalist for The Times of India. 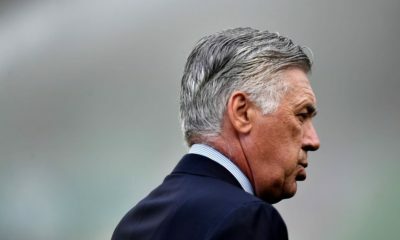 Are the ‘Carlo Ancelotti sacking’ rumours really called for?